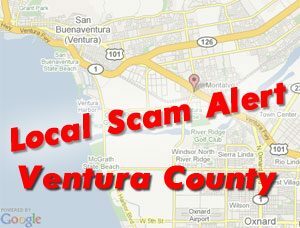 Last month, Ventura County was hit hard with scams and fraud. Unfortunately, people have fallen victim to these and are now suffering the consequences. All of these incidents have occurred numerous times last month. There is a scam on the internet asking for mystery shoppers. 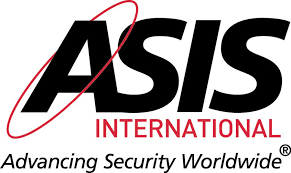 When you sign up, you will receive cashier’s checks averaging about $1200.00. The company will ask you to cash the checks, keep $300.00 for yourself and send the remaining $900 to an address the Philippines. The shopping part is missing! They will call you to let you know more checks are on the way. Fortunately, the FBI is on to this scam. Unfortunately for the unbeknown receiver of the checks, the FBI comes and will seize your bank account. Not a good position to be in. Again locally in Camarillo, Leisure Village, has had a rash of phone scams. In one case, an elderly gentleman was called and told his grandson “John” was in a bad car accident and was unable to receive the proper medical service unless $5000 was wired to a facility in Madrid, Spain. In the emotion of the moment, he did as instructed. The bad guy in this case knew his grandsons name. The victim has no recourse. He is out $5000. Again, in Ventura County, there is a white male, 30’s, red hair, walking around malls claiming to be a police officer. He has been able to get personal information from victims with a ruse of some violation. He will later follow up with a phone call stating a fine will be imposed and go to warrant if not taken care of immediately. Victims are sending the caller money. When it comes to people claiming to be a police officer, even uniformed officers are required to carry city or state issued official identification. That means, even if a person is dressed as a police officer, badge and all, they should have additional photo credentials with them identifying themselves as a police officer. A real police officer should not have a problem showing it to you. Should you feel that something is not right with your being stopped or detained, calling 911will be able to confirm if you are in the presence of a real police officer. If anyone has questions they would like answered, email us and we will answer all and select a few to post on the site.